The pound has gained strongly against both the dollar and the euro following reports that the UK and Germany have made progress towards a Brexit deal. Sterling rose nearly 1% against the US currency and 0.5% against the euro after the reports on Bloomberg News. However, the pound later gave up some of its gains after London and Berlin both denied there had been any change. The agency said the German government was ready to accept a less detailed agreement on future UK-EU trade ties. The UK and Germany both denied any movement, while analysts warned the EU's stance was not decided by Berlin. Mrs May's official spokesman later responded by saying there was no change in the UK's position that "proper" information about the future UK-EU relationship had to be available by the time Parliament voted on the withdrawal deal. "We have always set out that when Parliament votes on this, it needs to be a meaningful vote based on proper information," he said. "We have always been clear that Parliament needs to be able to make an informed decision, and Parliament has also been clear on that. There is no change in that position." A German government spokesman said: "The government's position is unchanged. The federal government has full trust in the leadership of Michel Barnier." Mr Barnier has not yet commented on the report. 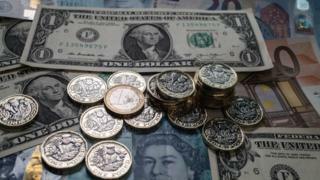 In late afternoon trading, the pound was worth $1.2902, having earlier traded closer to the $1.30 mark. Against the euro, it fell below €1.11, having earlier reached €1.1155. "The ease with which sterling has recently spiked on slim pieces of news tells us a lot about how quickly the pound is likely to rally in the event of any type of Brexit deal," said Ranko Berich, head of market analysis at Monex Europe. "Any deal that avoids the worst-case scenario of a no-deal exit is likely to cause significant sterling strength, even if it is no more than a can-kicking exercise in the classic Brussels style."